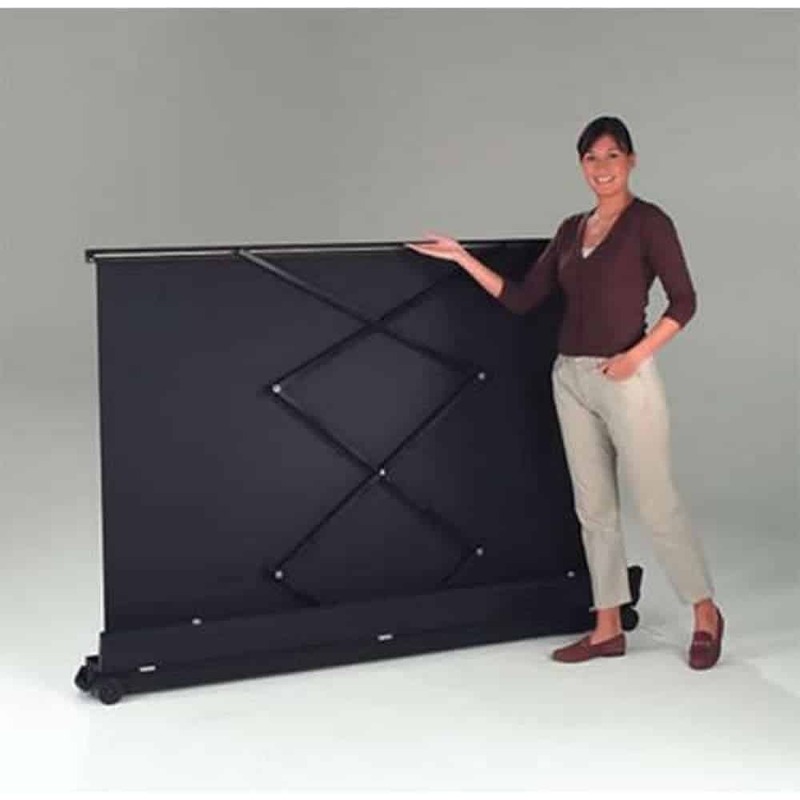 Metroplan’s Vertigo Portable Floor Projector Screen is a lift-assisted floor screen. It features a scissor action mechanism for raising the screen to a full height in seconds. You only need to rotate the feet, unclip the base and raise the screen to the desired height. Its feet can rotate through 90degress for providing the screen stability, yet still foldable for a neat storage. Its carrying handle is balanced for easy maneuvering while packed away. 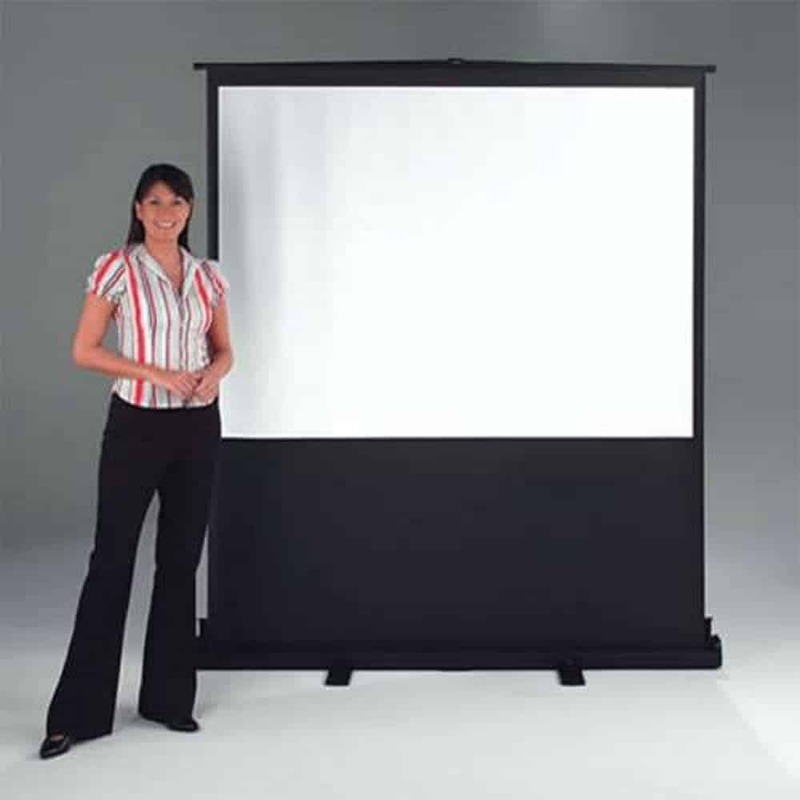 The screen is a durable matte white that has excellent reflective qualities for an ideal screen to use in a multimedia presentation.